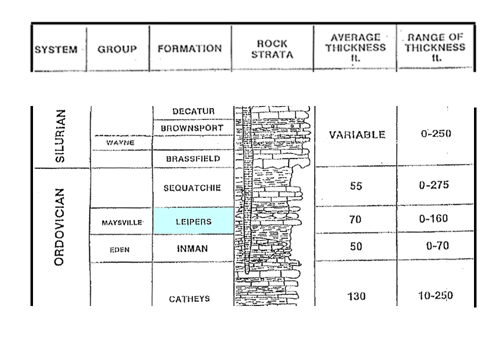 The Leipers Formation is part of the Nashville Group of rocks, and is dated to the Late Ordovician Period. Dark blue grey, earthy, nodular limestone. Thin beds of limestone separated by shale mudstone and siltstone beds from a few inches to 10 feet thick. 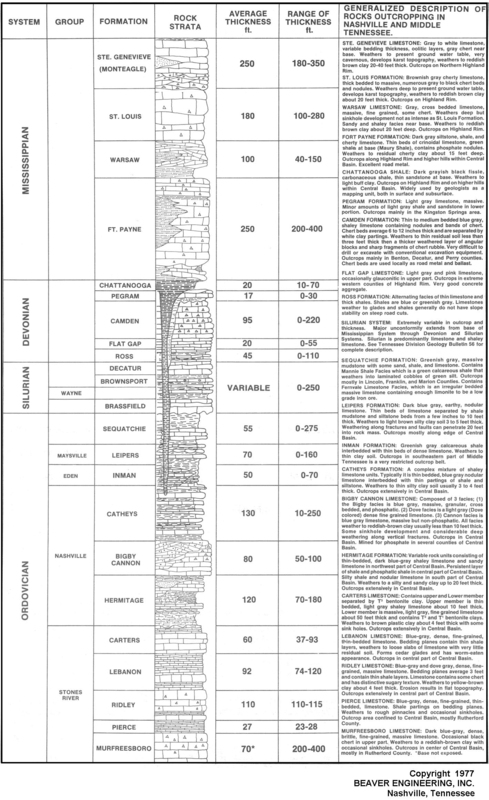 Weathers to light brown silty clay soil (2 to 5 feet thick) Weathering along fractures and faults, can penetrate 20 feet into rock mass. Outcrops mostly along edge of Central Basin.